I am chasing the white rabbit. Today while I sat at my desk within the school, I looked up to see him sitting underneath a small tree, nibbling on the soft underbrush among our concrete garden. He hopped over to the planter and seemed to kiss the edge. I now understand why the seeds haven't grown. His regard seemed to evaluate me as his nose shrugged with each rapid chew. I looked deeply into those bright pink eyes and the clock on the wall inexplicably ticked a single second. This was quite odd since the battery had been dead for days. Just as quick as that, the white rabbit began hopping away and I doubted that the whole thing had quite happened. And so the day ended and the clock remained still. A backpack laden walk took me across concrete, through an under construction building, and down a concrete and rubble ramp to the rainy season grass of mud. 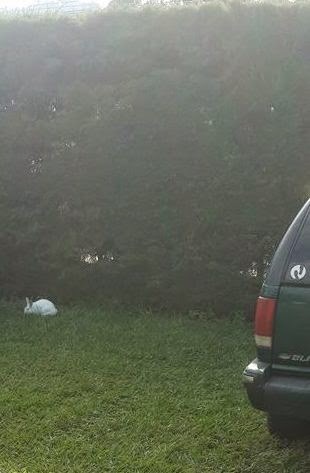 Across the field, next to my car... the white rabbit sat again regarding me. What else was I to do? What would you do? I've read the account. I pressed my head into the hole. 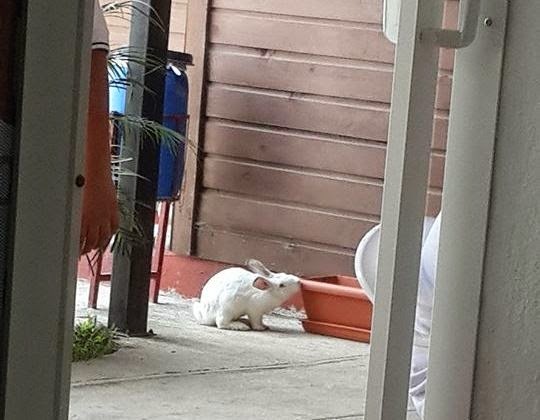 The white rabbit was about a meter away to my left, scratching at an empty disposable water bottle. He seemed completely unsurprised of my intrusion. I watched as the white rabbit again eluded me, traveling ease along the undergrowth. I watched until I could see him no more and then withdrew my head from the hedge. Ah yes... of course. There was a crowd of three gathered to watch as I bow-tied and jacketed stood from the hole. I snickered as I thought about shouting, "I'm late! I'm late!" It became even funnier as I considered that everyone is late in this country... that's one of the main reasons I love it. 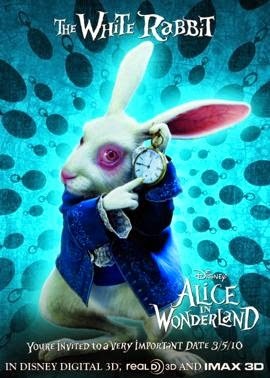 How long is eternity Mr. White Rabbit? Ah yes... you answered me with the single tick of a clock. I am still there now. Delivered to Mr. Shepherd's office.